Our 2017 USA Eclipse Tour held in Wyoming State is nature rich and set in the dramatic landscape of Yellowstone National Park and the Grand Tetons. This luxury eclipse tour is squarely centred in the eclipse path. Enjoy the day afield in Grand Teton National Park searching various habitats for moose, elk, bison and black bears. The mid-afternoon hours will be spent on a scenic float down the Snake River. Today will be a day trip into the Yellowstone National Parks famed geyser basins where we will witness an eruption of Old Faithful. Today we will witness a total eclipse of the sun based in Grand Teton National Park. We will venture further south towards the centre line of the path to one of our pre-selected eclipse viewing sites giving a maximum eclipse viewing of 2 minutes and 20 seconds. Find out more information on Our USA Eclipse Viewing Site. Today we will day trip back into Yellowstone National Park and visit the Grand Canyon of the Yellowstone. Optional Day hikes will be offered to Silver Cord Cascade Overlook, the tallest waterfall in Yellowstone National Park (approximately 2.5 miles round trip with moderate elevation gain) and an optional Yellowstone Lake Boat Cruise (at additional cost). Today will be a day spent enjoying various ranch/recreational optional activities, horseback riding, fly fishing, day hiking. 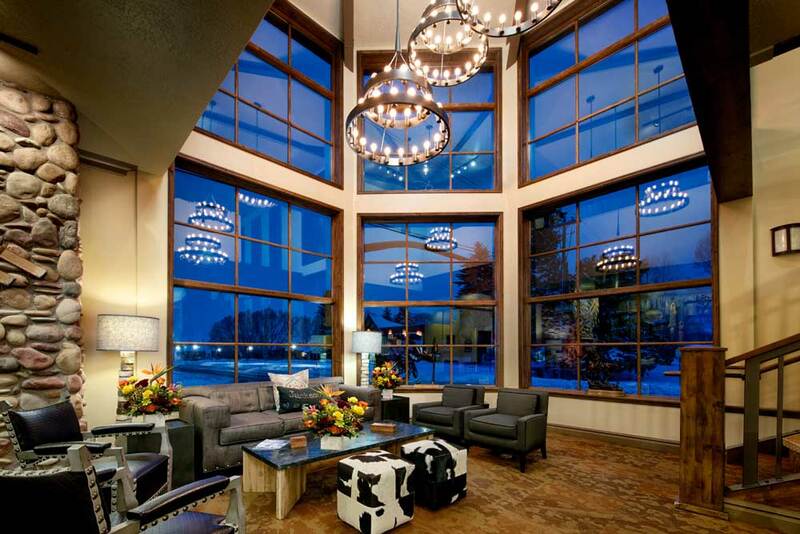 Depart at your leisure with a complimentary transfer to the Jackson Hole Airport or extend your trip and carry on the adventure. Please plan to arrive in Jackson in time for our 6 pm welcome/orientation dinner. You are free to depart at any time on the final day. If you would like us to book your international flights to/from Jackson or your extra travel arrangements around the core itinerary we offer competitive prices and creative travel itineraries.